Site Name and Description: Spotify. The site allows you to stream an impressive amount of music for free, play and organize your own mp3s. 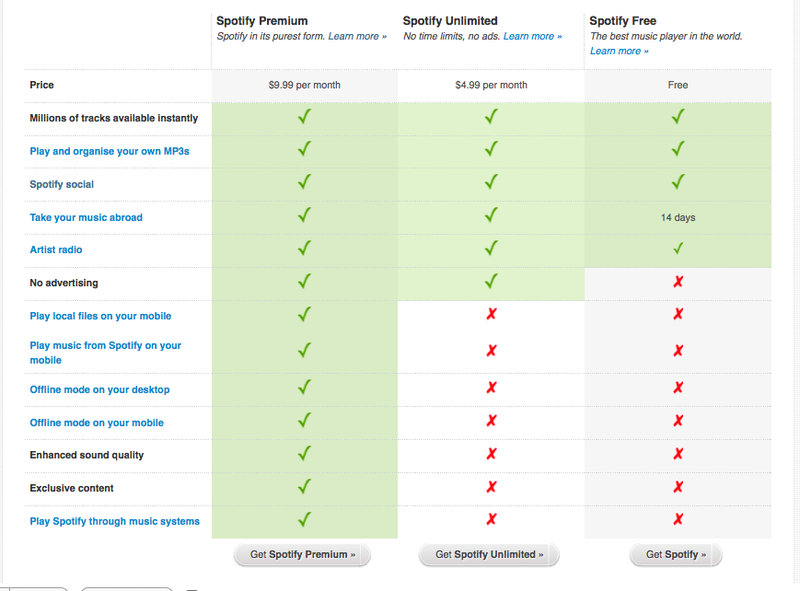 Spotify offers premium plans at tiered monthly rates to give subscribers more control over their listening experience. Premium plans allow people to listen to music free of advertisements, stream music to mobile devices and home stereo systems, and play music offline. 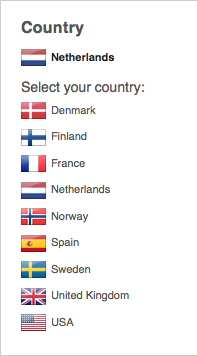 Base Site: Spotify is currently available in Sweden, Norway, Finland, the UK, the US, France, Spain and the Netherlands. Design Overview: The site design is clean with clear navigation running across the top. It utilizes photos of devices, custom graphics, and line drawings. It has a black, cyan, and lime green color scheme. Audience: Basic tech savvy/computer literate music lovers. The interface skews towards a younger audience (20s-30s) but the music selection is inclusive; all genres are represented. Business/Site Goals: The site offers three pricing options free, unlimited ($4.99/month), premium ($9.99/month). As the price increases, additional features are offered including no advertising, offline mode, and mobile options. Revenue model based on both advertisers and subscribers. Social Media Integration: Partnered with Facebook and Twitter to give consumers ability to share the music they are listening to with their social network in real time. 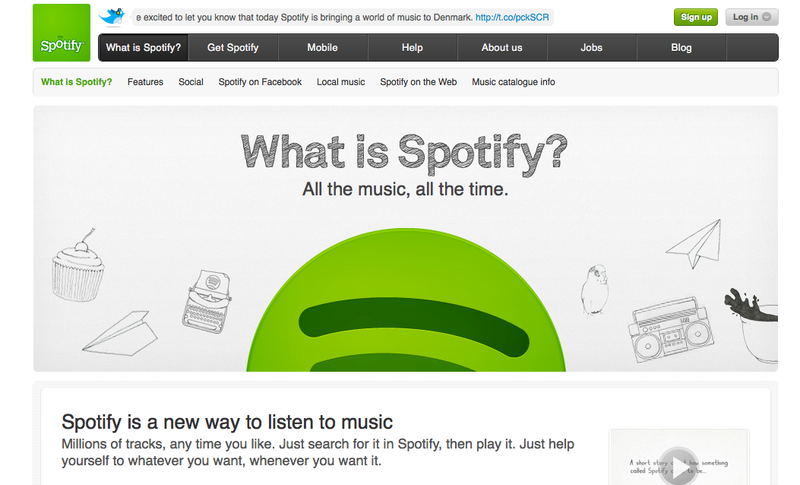 Spotify’s website is also connected to Flickr, and Youtube.